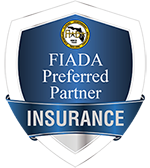 O’Connor Insurance, Inc and Dealers Insurance Services, LLC understand that security and privacy are important issues for visitors to our website and recognizes our obligations to keep your information secure and confidential. You may be asked to voluntarily provide your name, address, phone number, email address, or other personally identifiable information (“Personal Information”) to have access to some features of the Site. You may always refuse to provide your Personal Information, and this may lead to our inability to provide you with certain offerings, services, or products. O’Connor Insurance, Inc and Dealers Insurance Services, LLC will not share user’s personal information with third parties. The Site may contain links to other sites on the Internet that are owned and operated by third parties. O’Connor Insurance, Inc and Dealers Insurance Services, LLC does not endorse such sites and is not responsible for the collection or use of your Personal or Anonymous Information at any third party sites. O’Connor Insurance, Inc and Dealers Insurance Services, LLC are not responsible for a California Privacy Rights Request that is incomplete, incorrectly labeled, or incorrectly sent. © 2018 O’Connor Insurance, Inc and Dealers Insurance Services, LLC. All rights reserved. Any copying, redistribution or re-transmission of any of the contents of this service without the express written consent of O’Connor Insurance, Inc and Dealers Insurance Services, LLC is expressly prohibited.